Painted Daisy flowers have three inch beautiful white, yellow, red and purple blooms with varying bands of other colors with a purple center. 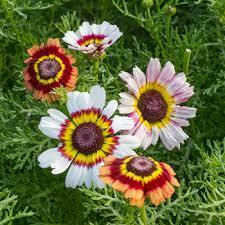 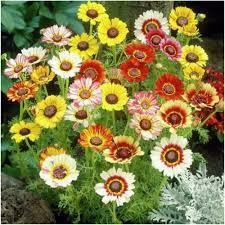 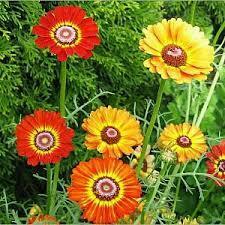 This annual Chrysanthemum plant is an unforgettable flower that is easily grown from flower seeds. 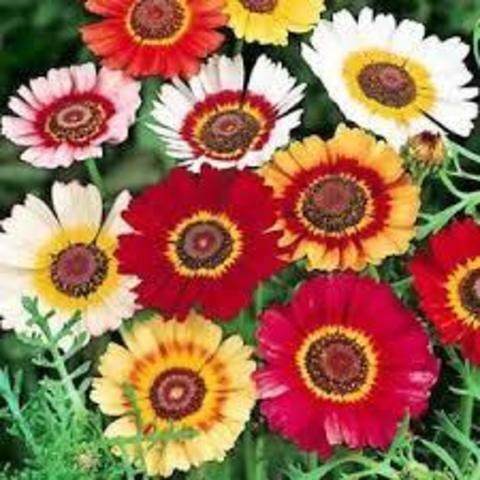 Painted Daisies are easy to care for and they will re-seed themselves giving the garden another display of Chrysanthemum Painted Daisy flowers the following year. Height : 24" - 48"